G Suite Project Management reviews by real, verified users. Find unbiased ratings on user satisfaction, features, and price based on the most reviews available anywhere. Dooster is an online task and project manager that syncs with Google apps to help save time and effort. GQueues is a full-featured task manager for G Suite. Kerika is a work management software for distributed, lean and agile teams, with support for Kanban, Scrum and Whiteboard projects and integration with Google Drive. Avaza is a software suite for small business, with modules for project management, collaboration, time tracking, expense management and invoicing. CheckItOut for G Suite will create one question for items that are IN and another that are OUT and items will be moved between the questions on submit. Form Approvals for G Suite is designed to allow users to turn Google Form submissions into interactive workflows. Form Scheduler for G Suite is designed to help users limit responses and schedule the form based on the google calendar events. Gluru for G Suite is designed to help users organize and find their files in important moments when they need them. KiSSFLOW is a workflow product built for Google Apps. middlespot for G Suite allows users to visually organize desktops for features in google drive and across the web. Organiseme is a task and to-do list application that is integrated with G Suite and has a Google-like layout. 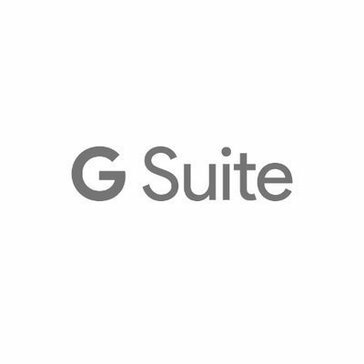 Project Manager for G Suite is an online project management tool that enables users and their team to plan, track, monitor and report on their projects in real-time. Sapenta for G Suite is a smartworking tool. Translator Journeys, Trips for G Suite translates and copies content from certain cells into English, Spanish, French and German. Acunote - Scrum Project Management is a online project management and scrum add-on for G Suite. BasicOps for G Suite is a simple, centralized platform designed to help teams communicate, share, and work together. Copy Folder for G Suite is an add-on designed to create a duplicate copy of a folder, its contents and structure. Drutas for G Suiteis designed to make it easy to capture, collaborate, plan and build ideas. Flowlu Tasks for G Suite is a task management app for teams. Form Values for G Suite allows users to store and use selections for multiple choice, list and checkbox questions. Fusionmint for G Suite is designed help users create custom applications, collaborate with their team and automate their business. Glasscubes for G Suiteis designed to help manage projects, information, people and files securely. Handle for G Suite offers to-do list, inbox, and calendar management features. HyperSwiss for G Suite is a team task management tool. Indo for G Suite is simple group collaboration for G Suite, giving users threaded conversations, easy sharing and a feed to see what's relevant. KissIQ for G Suite tracks tasks, expenses, and time for multiple projects. Labelizer is designed for sharing labels, contact groups and permalinks for mails in Gmail. OneDesk for G Suite is a suite of integrated applications for product management, project management, requirements management, product roadmaps, helpdesk and customer feedback management. Ora for G Suite is a task management and team collaboration add-on. Output Time for G Suite is a project management and time tracking tool with billing. Paymo for G Suite is designed to help project-based businesses manage their projects from start to finish. PlanTasker for G Suite is an online project management tool. Projecturf for G Suite is an online project management and collaboration tool. Redbooth is a platform designed to empower teams and companies to collaborate, communicate in real time, and achieve breakthrough productivity. ResultMaps for G Suite allows users to convert document text into schedules, projects, goals, and assignments. Sandglaz for G Suite is a lean project management for small high performance team. Sheet Navigator creates a sidebar with a table of contents like listing of all the sheets in a spreadsheet. Spacer for G Suite is an add-on that creates row spaces by column categories. Hi there! Can I help you find the best G Suite Project Management solutions?